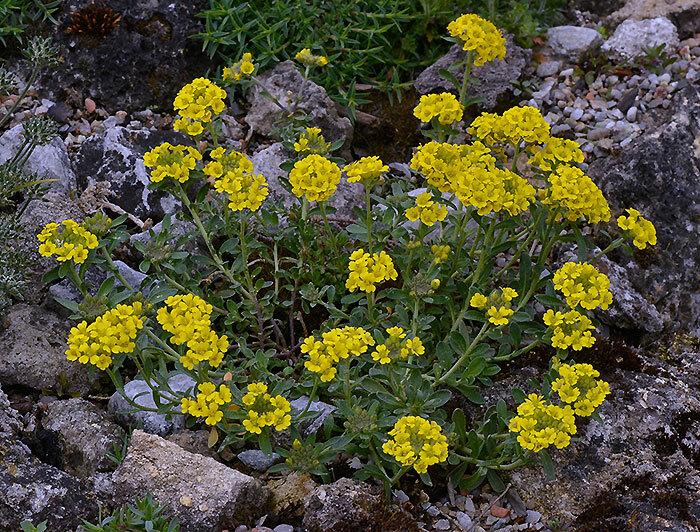 Alyssum wulfenianum – This species is an endemic of the southeastern limestone Alps. I cultivate this species in my rock garden. It likes sun and dryness.